Dawson and Brady love each other so much. Dawson is an incredible big brother. He really enjoys playing with Brady, and Brady finds Dawson very amusing. 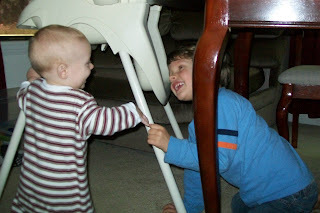 I love the picture below of them smiling at each as as they played under the table.